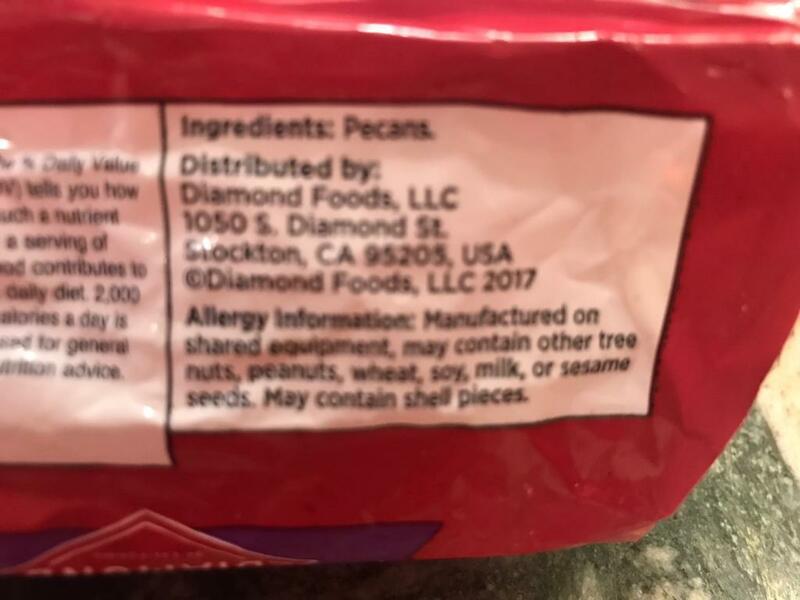 Hi I wanted to know if buying chopped pecans from diamond is legal the ingredients is only pecans but there is an allergen warning that says manufactured on shared equipment may contain other tree nuts, peanuts, wheat, soy, milk, sesame seeds. Is this legal? Yes, this is fine. The allergen info is only for severe allergies. It's tough to find ones that won't have a warning, and I prefer ones with no gluten facility and less cross contamination -but yes as Ester said, that's mostly for anaphylactic cases - I have two kids with those issues, so those labels come in handy. Hi Ester! Long time, no see! I've been down to the new place a few times, but I came for my son, he handles more now, and I just passed my 11 year SCD anniversary, and still can't handle most of your stuff! LOL - but my new Func Med Dr found some gut bacteria etc, so the hope is to broaden to Stage 5 SCD so I'm not malnourished and lacking in so much, as I've been for years. I am still so thankful for your help, and support, and to your mom for having me drive her to her house for the cashew icecream, I was making it here with pecan butter - but I'd live off pb if you let me, so I had to stop Hope all is well, God Bless! It's kind of like - you're allowed to bake your own SCD baked things in your kitchen, even though you'll be using the same equipment for non-SCD stuff. The companies are surely careful to clean the equipment between uses, but even this is not enough for severe allergies, hence the notice on the label. Thanks Eileen for your good word. I really do hope you're able to broaden your diet at last. You're one amazing woman to keep on such a limited version of SCD for so long. All the best to you and your family!